New York City landlords often require applicants to earn 40 times the monthly rent to qualify for a place. But not everyone can meet this income requirement, so a workaround landlords and tenants use is a guarantor. A guarantor is someone, usually a parent or family member, who will co-sign the lease with an applicant. As a co-signer of the lease, a guarantor assumes responsibility to pay the rent if the tenant fails to pay. But like all things related to getting an apartment in NYC, signing a lease with a guarantor is not a simple process. Here’s how it works. In most cases, landlords will require a guarantor to make 80 to 100 times the cost of the monthly rent. That’s a lot of money, we know. Given the high income requirements, applicants often look to parents or older family members who have substantial savings to act as guarantors. If you don’t have wealthy parents or family friends to take on guarantor duties, don’t panic — you have some alternatives. Companies like Insurent Lease Guaranty and the Guarantors have built an entire business on assisting apartment-seekers in this predicament. For a fee, they’ll act as your guarantor if you meet certain qualifications. For Insurent, you’ll need to earn at least 27.5 times the monthly rent and normally have a credit score of 630 or have cash assets of a minimum of 50 times the monthly rent. The Guarantors requires a FICO score of at least 630, and that you earn 27 times the monthly rent annually. If you don’t meet these exact guidelines, these agencies still may be able to approve you on a case-by-case basis if you contact them directly. Pay more upfront: If you can’t find a guarantor, one solution is offer the landlord more cash up front. Laying out more money up front will certainly expose you to more risk, but it could make your application more appealing to landlords. Before making this offer, be sure that the landlord is reputable (search the internet and ask your broker) and also be sure your budget can handle the outlay of cash. 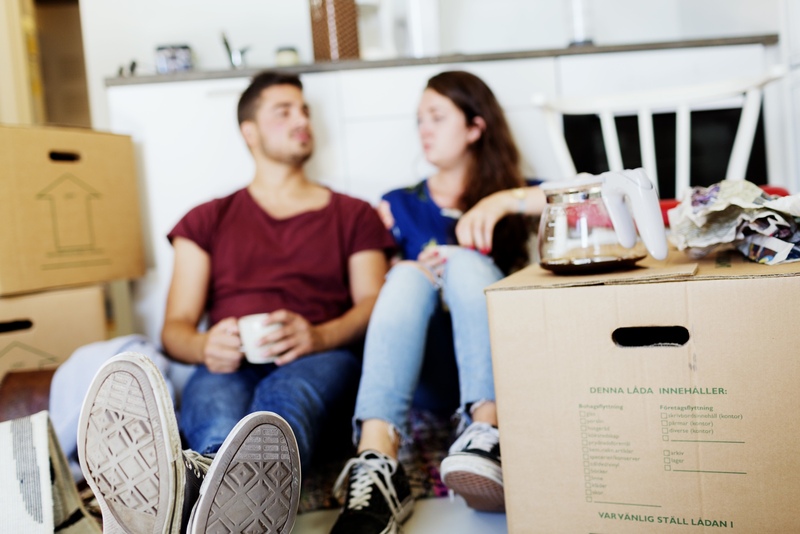 Opt for a sublet: Subletting is a great strategy when you’re on a budget that doesn’t leave room for the fees associated with signing a traditional lease. Sublets require far less paperwork and are a great way to avoid the broker fee. Just be sure the person you are subletting from is actually on the lease and is authorized to rent the apartment to you. Since you will not be on the original lease, you’ll need to take more care to avoid getting scammed.